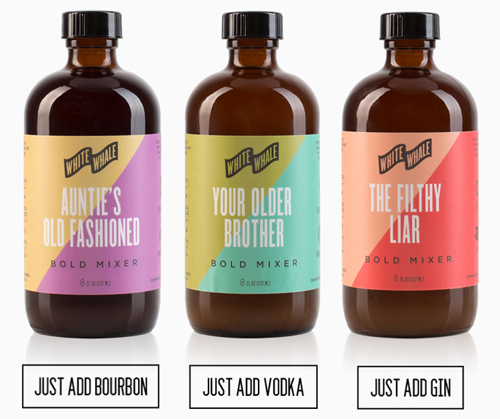 Their mixer descriptions are making me want a cocktail right now- and it's just 8 in the morning as I write this. Your Older Brother adds hints of lemon, Siberian fir, sweet orange to an ounce of vodka. The Filthy Liar offers hints of lychee, lime and clove to be mixed with gin while Auntie's Old Fashioned blends exotic youngberries with an infusion of rosemary to be combined with a couple of ounces of my favorite spirit, bourbon. I'm salivating.